ECRB offers a limited payment plan. The details of the plan are listed below. Buyer’s must agree to these terms prior to beginning the plan. Please read them carefully. Payment plans are available for any size purchase. A minimum initial, non-refundable, deposit totaling 25% of the full purchase price is required. The value of the animals and the remaining balance on the plan may not be modified during the plan. The price of the animal(s) becomes fixed on the day the plan starts. The maximum plan length is 90 calendar days (~ 3 months) from the day the first payment is received. All animals must be paid for in full within the plan period. If the animal(s) is not paid in full within the plan period the buyer agrees to forfeit their 25% deposit. Any monies paid in excess of the initial deposit will be returned to the buyer. The deposit amount is non-transferable. If an animal is not paid in full within the agreed upon time the buyer loses rights to the animal(s), and ECRB reserves the right to sell the animal to another buyer at current market value. Please do not enter into a payment plan if you are not comfortable with completing the plan within the allotted time. The plan period starts the day the initial payment is received. All animals included in the payment plan will remain in the care of ECRB until the balance is paid in full. Once the initial deposit is received the animal is considered sold and will no longer be advertised for sale. Because of this we expect that you will pay the balance in full within the specified time. 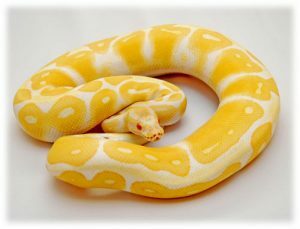 If, for any reason, East Coast Reptile Breeders is not able to provide the buyer with the animal(s) agreed upon at the time of sale we will replace them with a mutually acceptable replacement animal(s) or refund 100% of any payments received from the buyer. An updated invoice statement is provided after the receipt of each payment. There is no pre-payment penalty. The balance may be paid in full at any time. Once paid in full delivery will be coordinated with the buyer. Weather may delay shipment. You must agree to this entire plan.